You may never have heard of Sister Flo. While they sang in English, they never earned a significant following outside the borders of Finland. However, the beauty of their 2004 debut LP, Tragician's Hat, endures. It contains some of the most beautiful songs I've heard -- all dreamy acoustic and electric guitars and synths, horns, gentle vocals with hints of yearning and melancholy, and inventive pop. 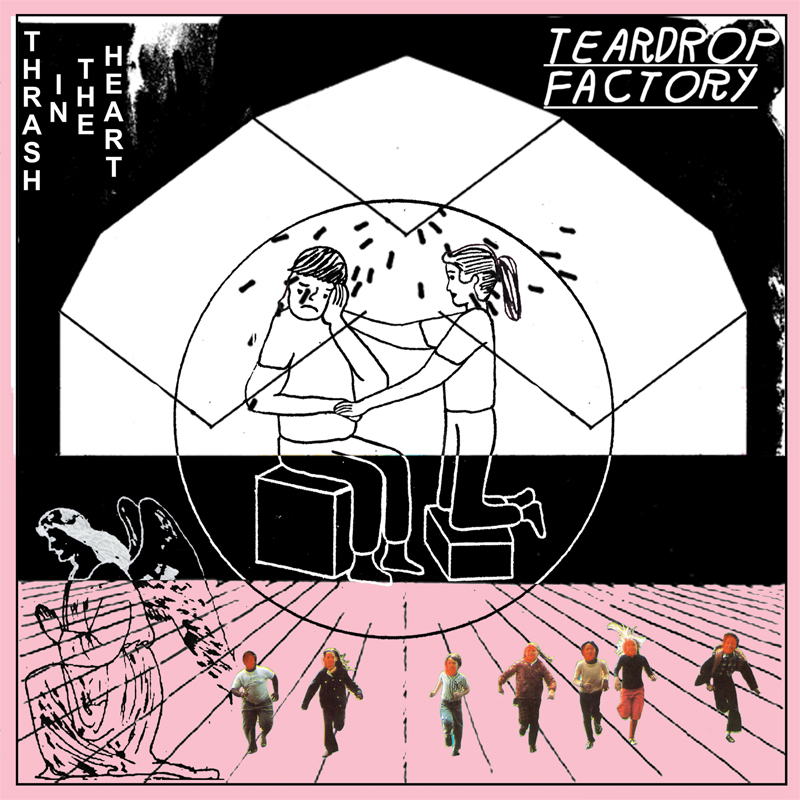 One listen and you can endorse the comparisons to Belle and Sebastian and Stereolab, although the music is sufficiently unique that one couldn't easily fit Sister Flo into any other group's box. And the reason we are writing about it now is that Helsinki label Soliti has released Tragician's Hat, remastered and with additional outtakes, rare and unreleased tracks, songs from an EP, a radio spot and two live performances. The album is available on vinyl (only 300 copies), double CD (500 copies) and digital download, containing 22 tracks and the original artwork. Note that the bonus tracks are only available on the CD version. The music varies from the straightforward to the inscrutable, but always pleases. The songs have a sense of strength, not by virtue of volume but rather sincerity and immaculate construction. You can find music everywhere these days, but you can rarely find music like this. Here is your second chance -- don't blow it. Sister Flo was Janne Lastumäki, Antti Kaistinen, Samae Koskinen, Mikko Salonen, and Jarno Alho. In looking for a song for this week, I had to find one that truly rocked. 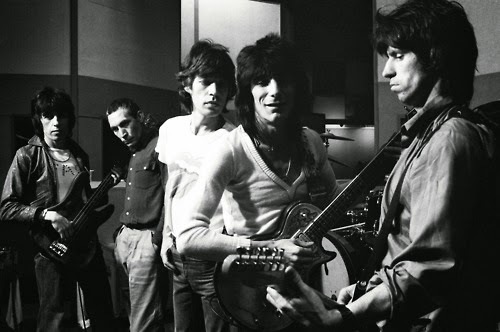 And few Stones songs rock harder than "When the Whip Comes Down" from Some Girls. Recorded in 1977 in Paris, the song tells the story of a young gay man who leaves LA for New York City and ends up walking the streets, and some have interpreted the lyrics as suggesting him also possibly holding a day job as a garbage man (though I tend to interpret the garbage language as oblique references to life as a gay hustler). I've got so much money but I spend it so fast. My mama's so glad I ain't on the dole. Pretty edgy stuff for 1978 even by the Stones standards. Though for me the glory of the song is the full on punk-inspired rock and Charlie Watts' relentless beat. Johnny Took, Matt Mason, and Tommy O'Dell -- three friends from Newtown, Australia -- comprise DMA's. Their residence may be in the southern hemisphere, but their sound seems to be an Australian version of '90s Britpop. The band previously released a self-titled EP (which is available on iTunes). Tracks "Laced" and "So We Know" will be released in physical form in November, but "So We Know" has been released digitally this week via Mermaid Avenue and Mom+Pop in the US, and Partisan in Europe. The band also will be touring Europe and the US in October and November, and making an appearance at CMJ in New Your. Lend your ears, this may be the Next Big Thing. But even if they don't hit that level, this is a very nice song. Pssst, here's a deal: Two tracks of psychedelic rock for $1 (Australian) from Melbourne's Grand Rapids on their Copper Girl 7". Grand Rapids are Sasha L. Smith (vocals/guitar), Daniel Hallpike (guitar), Deon Slaviero (bass), and Keith Ratnan (drums). The 7" is released by Psyche Ward, which also released the bands October 2013 full length album. The music tends toward the thicker, heavier, droning end of the psychedelic spectrum, and if that is your thing, this is a group to investigate. A relatively new psychedelic rock and to keep your eye on is Moses Gun Collective, from Brisbane. They can be dreamy, and they can hit the big riffs. Try them out on new single "Shalala" and watch for their EP later this year. Moses Gun Collective is Aidan Moore (vocals/guitar), Samuel Sargent (drums), Alex Mitchell (bass), and Lewis Stephenson (guitar). Listening to Lunchbox Loves You can be compared to opening an actual lunchbox packed by your mother without consulting you beforehand. You know that your mother loves you, because she is your mother. 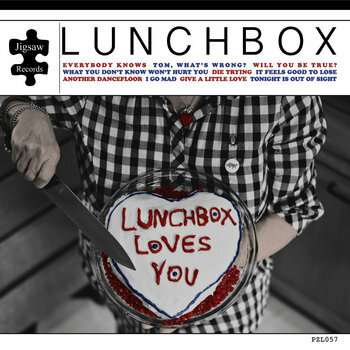 You know that Oakland, California's Lunchbox loves you, because they told you so in the title to the album.Lunchbox Loves You . But the core question is whether the contents bear witness to the love. I certainly can't speak to the contents of your school lunches, and my lunches weren't always ready for Master Chef. However, I think you'll like the ten course lunch that Tim Brown and Donna McKean have packed for you. The ingredients include jangle, fuzz, hooks and a good dose of bubblegum for your finishing pleasure. It is a rush of sounds constructed around Tim's acoustic and electric guitars and Donna's bass, with other embellishing touches, and the male/female vocals. There appears to be a punk foundation to these songs, but the execution is pop with the emphasis on fun. And to show you how good it is, I didn't cherry pick songs, I just embedded the first three. Enjoy! We confidently predicted that the new four-track EP from the San Francisco's Terry Malts would be good, and of course we were right. This trio has a knack for combining melody, distortion, chainsaw guitar, feedback, roof-raising beats and positive energy into performances that remind you exactly why you like rock and roll. You might regard them as sitting in the middle of the intersection of garage, power pop and punk, and it could well become your favorite musical address. Their journey since forming in 2009 has produced two excellent LPs, and now continues with Insides EP, which is out September 23 via Slumberland Records. The record starts out with "Let Me In", a thrilling version of the powerpop that this band does so well. Go ahead and pump your fist in the air, you won't be alone. "Grumpiest Old Men" can make all of us curmudgeons feel a bit better about ourselves -- maybe. "Don't" is a dark foot-tapper. The EP closes with Terry Malts' cover of The Chills' Hidden Bay; Dunedin guitar pop reimagined as West Coast garage fuzz. Somewhere between the dark, we-can't-be-bothered anger and disenchantment of The Jesus and Mary Chain and the in-your-face outsider buzzsaw pop of The Ramones, is Terry Malts. And that gives them a lot of room to work their magic. This could be your best legal source of energy as you slide into fall. Terry Malts is Phil Benson (bass/vocals), Corey Cunningham (guitar/vocals) and Nathan Sweet (drums/vocals).